It was back in the 1880’s that murder and medicine first came to thrill Frances Glessner. Murder and Medicine were the interests of George Burgess Magrath, her brother George’s friend, who always came to the Rocks when the Glessner family arrived from Chicago for the summer. Frances always had to return to the “high society” of Chicago’s upper side. Marriage, children and even grandchildren did not change her father’s unwritten law that a “Glessner” could not possibly think of having an interest in a subject like crime. Frances was well over 50 years old when her long- frustrated career in crime-detection began as her father died in 1936. In the early 1930’s, she became ill and stayed in Boston for several months. Magrath would visit her almost every night and talk “cases”. He was very concerned about what was to become of his young science of “crime doctoring” when he died. Lee underwrote a salary for a professor of legal medicine at Harvard. Dr. Magrath was the first to hold the Chair and two years later, she established the George Burgess Magrath Library of Legal Medicine at Harvard. Her models are masterpieces of accuracy. They were built on a scale of one inch to the foot, perfectly proportioned for an investigator six inches tall and every detail needed to solve the crimes was present in each model. The studies were based on actual crime scenes, reconstructed from photographs, sketches and statements by witnesses and police. She used a magnifying glass, precise jewelry and dental tools and could turn out three miniatures a year. 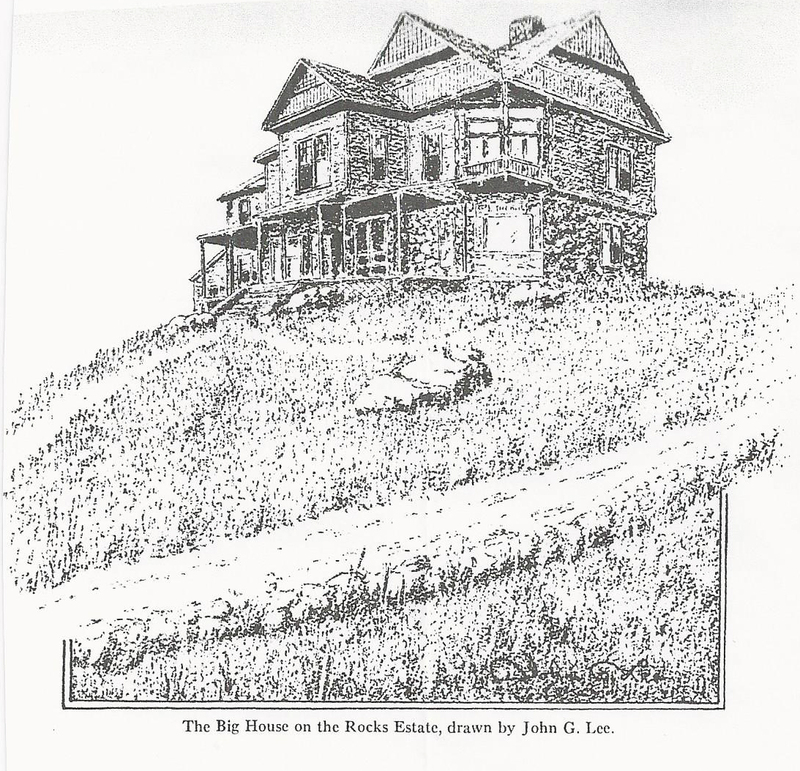 Her workshop was in the 28 room farmhouse at the Rocks Estate, Bethlehem, NH and her only helpers were Ralph Mosher, a clever carpenter and later his son, Alton Mosher. She would proudly point to a tiny carpet sweeper that really worked, the miniature guns that she picked up in Scotland and a doll- sized parrot who would be a witness to a stabbing. Alton recalls that she demanded precision in all phases of her work. Even the clothing made for the dolls in the models was fashioned to scale, knitted by Frances using common pins and unraveled thread. Alton also recalls being instructed to “scale down” pieces of siding from a 100-year-old barn to authenticate the detail of a crime scene. Twice a year, Lee brought together forensic experts and homicide detectives from across the country for intensive training sessions at Harvard. Participants were given 90 minutes to study each model, a grueling practice which required intense concentration. They were only allowed to observe using tools that would be used at the scene of the crime, such as a flashlight or magnifying glass. The seminars were by her invitation and were as sought after in police circles as bids to Hollywood by girls who aspire to be actresses. Lee would host an elaborate banquet at the Ritz-Carlton Hotel where the police were fed prime rib and cherries jubilee served on $8,000 gilt china. She bought the china and it was used only on these occasions. When Mrs. Lee died, Erle Stanley Gardner, creator of the popular Perry Mason mysteries was asked for anecdotes of Lee’s early homicide investigation seminars. He responded with a warm affectionate profile of the strong-willed woman who taught policemen and physicians alike “to take a second look.” “It’s a labor of love.” Gardner said, “She was a wonderful woman.” Mr. Gardner dedicated one of this books, “The Case of the Dubious Bridegroom” to her and her “Nutshell Studies”.